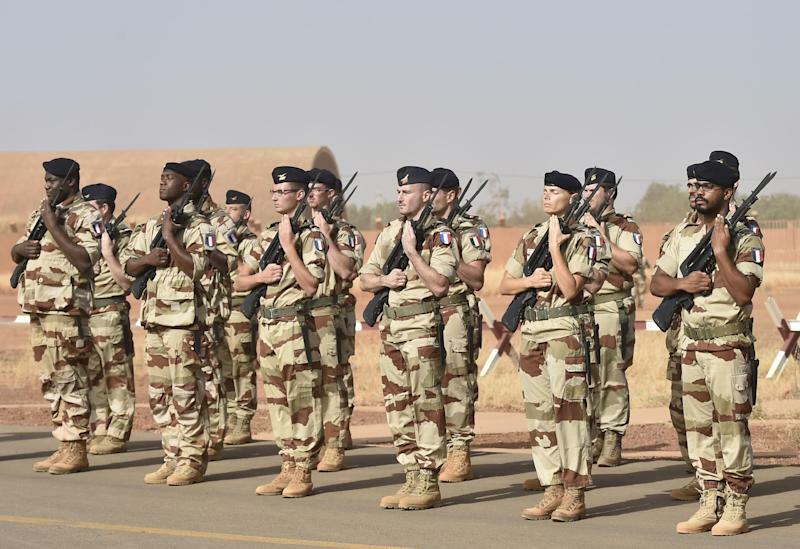 PARIS (France) (AFP) - French forces have either killed or captured nearly 200 jihadists in the Sahel region of west Africa in the past year, French Defence Minister Jean-Yves Le Drian said Sunday. "There have been many operations, nearly 200 terrorists have been neutralised in a year, around 50 since August" when France launched a massive counter-terrorism operation across five nations in the semi-arid Sahel, Le Drian told French radio and television. In separate comments to Jeune Afrique magazine in an interview to appear Monday, he said some important leaders were among those killed or captured, mostly in Mali and Niger. In what was seen as a massive blow to Islamist fighters, the French army on Thursday said it had killed Ahmed el Tilemsi, the Malian leader of the notorious Algerian jihadist Mokhtar Belmokhtar's Al-Murabitoun group. The French military in 2013 routed radical Islamist groups who had seized large swathes of northern Mali, and in August this year launched Operation Barkhane as part of a wider counter-terrorism operation. A total of 3,000 troops are now taking part in the operation across Mali, Mauritania, Niger, Burkina Faso and Chad, to track and combat Islamist militants with fighter aircraft, helicopters and drones. They are currently building an advance base close to the Libyan border in the north of Niger. Le Drian said that the south of Libya had become a hub for jihadists operating in the region. "Southern Libya has become a place of recovery, a petrol station, a place of rest, re-organisation and training for a number of terrorist groups," he said in the interview broadcast on Radio France Internationale and TV5 Monde. "The hunt for terrorists always leads to the Libyan border. The country is in chaos." "The international community must take the necessary steps with the countries concerned," Le Drian said, not ruling out military action there. But first there would have to be a political solution in Libya, he said, with the country torn apart by a war between two rival governments. "That will come about through the pacification of the whole of Libya."